bin next to Promise's downtown Sioux Center building. to help pay for patient rides to the health center. 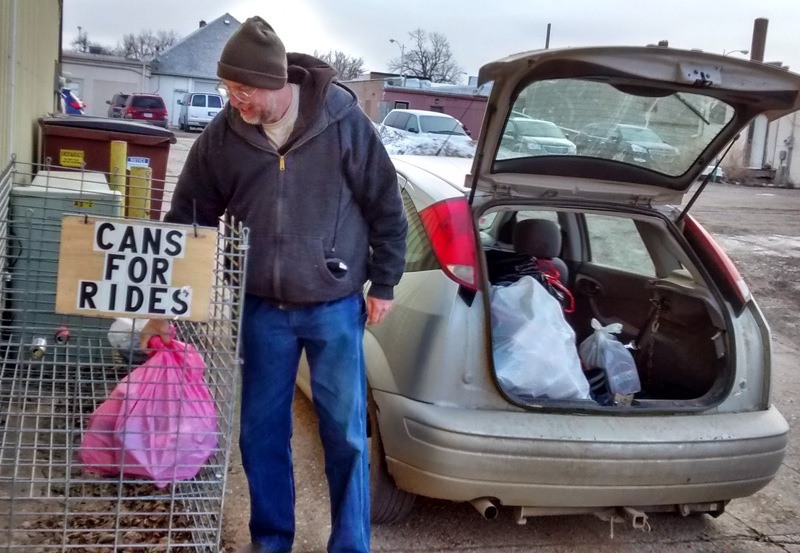 SIOUX CENTER – Evan De Groot often noticed that transportation was a need for some people coming to Promise Community Health Center. They didn’t have the money to pay for a ride. So the rural Sioux Center man decided to do something about it. About two years ago, De Groot launched a can and bottle collection program to raise money for patient rides to the health center. The bin is located along the south side of Promise’s building at 338 First Ave. NW in downtown Sioux Center. “Sometimes when you do a little thing for somebody, that helps them a lot,” he said. De Groot, 48, who also has served on the Promise Board of Directors since shortly after the health center opened in 2008, handles all aspects of the fundraiser. He removes the cans and bottles from the bin, sorts them and redeems them. He then gives the proceeds generated from the 5-cent can and bottle deposits to Promise to go toward paying patient fares through RIDES, the regional transit authority. “It’s not a lot of money, but I figured it helps one or two people per month who would have a hard time getting here,” he said. De Groot started coming in to Promise for his health services soon after it was established because he had bad allergies. The medical providers convinced him to have surgery to improve his sinus problems. He appreciated the personal service that he received at Promise. That led to his service on the Promise board. De Groot was in the waiting room one day when then board president Melissa O’Rourke came in. She suggested that he should serve on the board. “I’ve been here ever since,” De Groot said. Promise Community Health Center is the only Federally Qualified Health Center in the far northwest corner of Iowa. To learn more, visit www.promisechc.org. SIOUX CENTER – Promise Community Health Center is available to assist CoOportunity Health customers who have been encouraged to find a replacement health insurance policy before a looming deadline. The Iowa Insurance Division announced last week that rehabilitation of CoOportunity Health was unsuccessful and will now file a petition for liquidation. Iowa Insurance Commissioner Nick Gerhart is strongly encouraging individuals to obtain new coverage and cancel their policy with CoOportunity Health as soon as possible. Those who have a CoOportunity Health policy should not cancel their current policy before enrolling in a plan with another qualifying insurance carrier and should continue to pay premiums until their new coverage is effective to avoid being subjected to a federal penalty for failing to retain health coverage. People can purchase coverage through HealthCare.gov during the open enrollment period until Feb. 15, for an effective date of March 1, in order to continue receiving advanced premium tax credits and cost-sharing reductions. CoOportunity customers can receive assistance by contacting a community care coordinator Jessica Mora at Promise Community Center Center by calling 712-722-1700. Mora can assist people with the selection of health-care plans through HealthCare.gov and enrollment in the state’s various Medicaid programs. She can assist people with enrolling in new coverage during open enrollment, answer questions regarding liquidation and explain benefits of alternative plans. SIOUX CENTER – Health-care and prescription medicine costs are a major concern for senior citizens on fixed incomes. First, seniors do not have to pay the Medicare Part B deductible if they get their medical care at a Federally Qualified Health Center such as Promise. Medicare Part B helps pay for doctors services, outpatient hospital care, durable medical equipment, diagnostic tests, and many other health services and supplies. The Part B deductible is $147 for 2015. At other private health centers, seniors on Medicare are required to pay 100 percent of the deductible amount during the year before paying a 20 percent copay for medical services. At Promise, seniors pay just 20 percent for services from the start – with Medicare paying the remaining 80 percent share. Second, seniors on Medicare also might qualify for a sliding fee discount from Promise on charges for services if they qualify under income guidelines. They also might be able to qualify for other programs such as the Qualified Medicare Beneficiary program or enroll in Medicaid in addition to Medicare. Third, Promise has a selection of prescription medications available for seniors and other patients to purchase for only $4 each because of its participation in the Iowa Drug Donation Repository Program. In addition, Promise’s outreach coordinators, Jessica Mora and Emma Westerholm, will meet personally with seniors to help them understand their options. They will help patients sign up for programs such as Medicare and Medicaid. Outreach staff also can arrange for rides for patients if needed and provide interpretation services. To learn more about these services, call Promise at 712-722-1700 or visit www.promisechc.org. Promise Community Health Center, headquartered in Sioux Center, is the only Federally Qualified Health Center in the far northwest corner of Iowa. class during their tour of the facilities on Monday, Jan. 12. SIOUX CENTER – Learning a new language can be challenging enough. Trying to navigate the American health-care system at the same time is all the more daunting. class view Promise's dental areas during its tour. Promise Community Health Center personnel did what it could to ease that transition. Clinic manager Brittany Hamm and outreach coordinator Jessica Mora gave a presentation on Monday, Jan. 12, to students in Sioux Center High School’s newcomer class. The 14 students in the class then toured Promise’s medical and dental facilities. “The presentation and tour provided students with information that will not only benefit them but also their families,” said English Language Learner teacher Faby Castelan, who teaches the yearlong class with fellow ELL teacher Nancy Widbin. She noted that students learned about what rights they have, how to make an appointment, what services are available to them and what to expect when they arrive at Promise or a different health facility. “The students learned a lot of valuable information, and I believe they feel more comfortable with Promise because they now understand what to expect,” Castelan said. Hamm said other topics that were discussed included how medical clinics and hospitals differ, when patients should go to a clinic instead of an emergency room for care and how to get the medications that they need. She explained their rights to make choices regarding medical or dental procedures and their right to have an interpreter provided. They also provided general health information, emphasizing the importance of people going to the doctor for preventive checkups rather than just when they are sick. “We would like to shift that mindset,” Hamm said. The students also learned specific information about Promise, including its sliding-fee scale, which bases patients’ costs on their ability to pay. For people who qualify based on income, the minimum payments are $25 for medical appointments and $50 for dental visits. Hamm and Mora, who is bilingual, then led the students on tours of Promise’s facilities, with clinical assistant Daisy Nava also assisting with interpretation. “The tour’s purpose was to help them feel comfortable with coming to Promise and accessing health care,” Hamm said. Promise Community Health Center, headquartered in Sioux Center, is the only Federally Qualified Health Center in the far northwest corner of Iowa. To learn more, visit www.promisechc.org. SIOUX CENTER – Promise Community Health Center was awarded $31,210 in federal funding that recognizes quality achievements and invests in ongoing improvements. The U.S. Department of Health and Human Services recently announced $36.3 million in Quality Improvement Awards grants to 1,113 health centers in all 50 states, the District of Columbia and seven U.S. territories. The health centers receiving the awards are proven leaders in areas such as chronic disease management, preventive care and use of Electronic Health Records to report quality data. Promise was recognized among the top 30 percent of Federally Qualified Health Centers nationwide for achieving best overall clinical outcomes by receiving $16,210 in funding in the Health Center Quality Leaders category. Nationwide, 361 health centers received $11.2 million in the category. Promise also received $15,000 in funding in the Electronic Health Records Reporters category for using EHRs to report clinical quality measure data on all of its patients. Nationwide, 332 health centers received about $4.9 million in funding in the category. “These funds reward and support those health centers that have taken steps to achieve the highest levels of clinical quality performance and improvement,” said Health and Resources Administration administrator Mary Wakefield. For a list of Quality Improvement Awards recipients for fiscal year 2014-15, visit www.hrsa.gov/about/news/2014tables/qualityimprovement/. 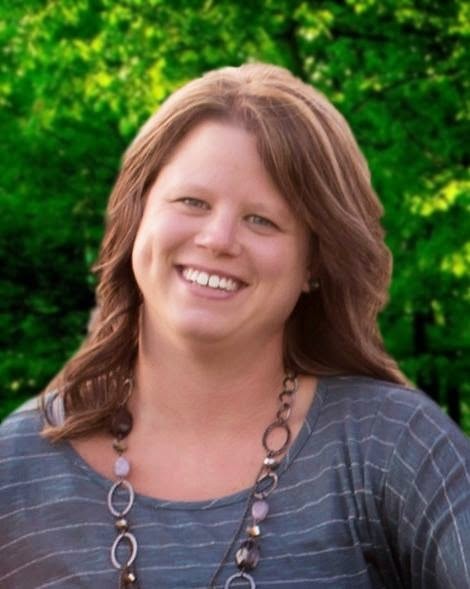 SIOUX CENTER – Promise Community Health Center announces that family nurse practitioner Tana Kass will begin seeing patients in February. She will provide a full range of health-care services to patients and families. Kass has practiced the last year and a half in Macy, NE, providing health care and emergency services to the Indian Health Services population. Prior to her work as a nurse practitioner, she worked for five years as a clinic nurse with Family Medicine Clinic in Le Mars and five years as a staff nurse in Mercy Medical Intensive Care Unit. She will begin serving patients at Promise on Monday, Feb. 9. “I’m excited to join the team at Promise," Kass said. I have chosen to focus my practice in rural and medically underserved health-care settings. It’s a population I care for and a mission I am passionate about." Born and raised in northwest Iowa, Kass lives in Le Mars with her husband, Nathan, and five sons, Dylan, Cael, Nolan, Hudson and Kole.